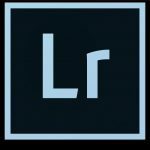 A Hands-on way to grasp the concepts of the Lightroom Library Application This is a learn-by-doing experience and will increase your retention as you work through the classes presented. This course is designed to take you by the hand and work you through one aspect at a time with your own laptop. The only requirement is to have a laptop that you can bring to class. We will provide sample files and images for you to work with as we take you step by step through the process starting with understanding Lightroom and the Library Module. Understanding Lightroom will explain the interface and how it all works together. We will then move on to the Library where you will create your own, and work through all the elements of the Library it has to offer. We will then walk you through an introduction of the Develop Module where you will get to see how the sliders affect the different aspects of your image. This is so that you can get to work when you get home and build your library organized the way you want it. You will also be able to do some editing of your images and develop a strategy on how to go about editing your images. The separate second class will take you deep into the Develop Module and Printing Module to allow you to print images directly from Lightroom.